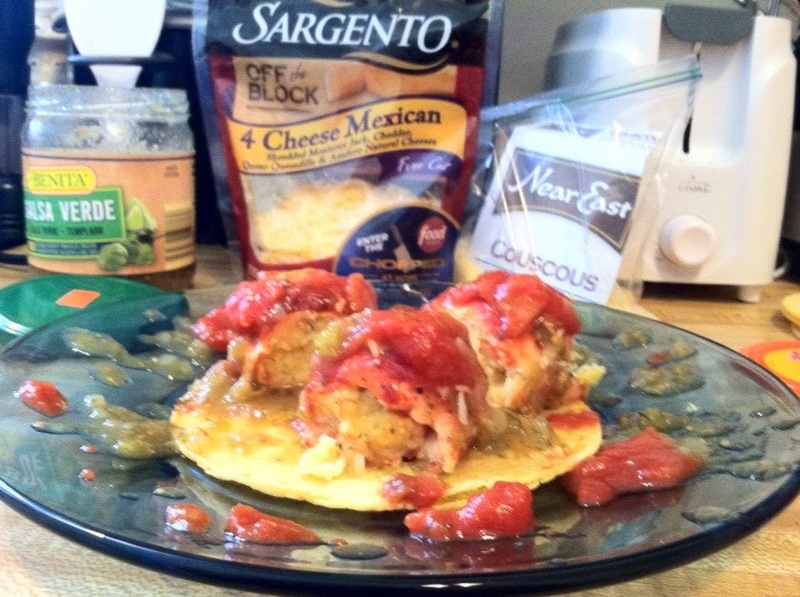 So what can you do with chicken tenders, salsa, couscous and Sargento cheese? That is the question of the month on "Chopped". 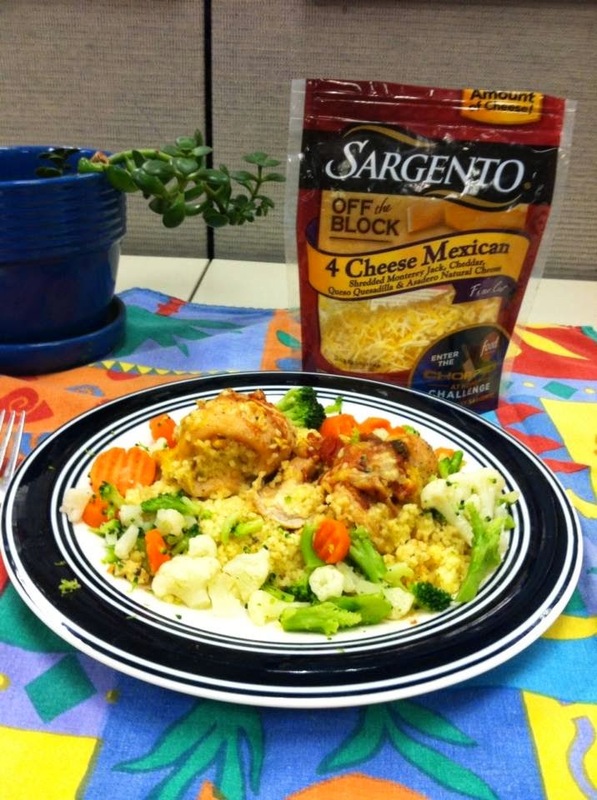 The Food Network and Sargento Cheese are sponsoring a contest for home chefs. This is my creation. Stuffed Chicken Tenders. I made a "risotto" out of the couscous, chicken broth and cheese, added green salsa Verde, garlic, onion and a little lime juice. Then pound the chicken tenders flat, rolled the couscous in the tender and baked with more salsa on top.